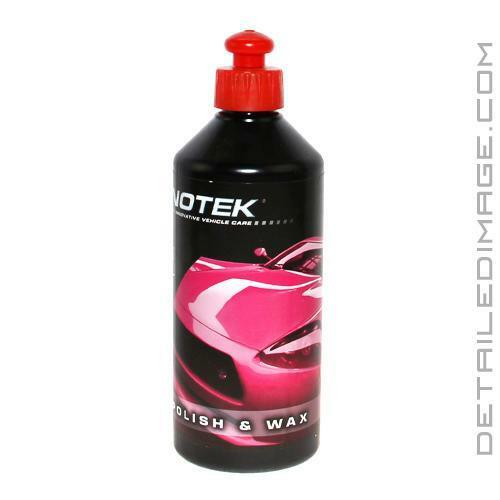 The Kenotek Polish & Wax will allow you to polish and protect in one easy to use formula! We all know how time-consuming detailing can be but with Polish & Wax you will be able to combine detailing steps saving valuable time! Saving time is great but not sacrificing quality while saving time is the best and Polish & Wax delivers! This easy to use product corrects minor paint imperfections, gives a deep wet gloss and protects with a carnauba and polymer wax combination. Just apply a small amount to your light corrective pad, work section by section, and wipe away any excess with a clean microfiber towel. Special abrasives help you remove light imperfections in only a few passes and once you are finished the wax protection will really help the paint pop. Add in the 3-4 weeks of durable protection and you have an all-around winner of a product. 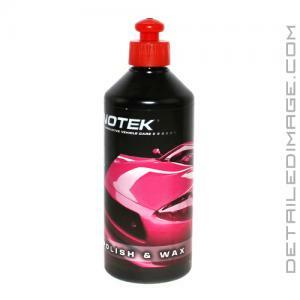 Don't let detailing take up your entire day, use Kenotek Polish & Wax to polish and protect with one product! Love this product it works great for removing very light swirls, its great for that vehicle that is new or in great shape and only needs a single step polish done to the finish of the vehicle. You can use this product either by hand with a microfiber towel or by machine polisher and i do not recommend this product to be used with a rotary polisher. On the Protection side you will get around 4-6 weeks of protection depending on how you maintain your vehicle you could get a little bit more out of that.